About 51% of marketing experts believe that video marketing has the best ROI when compared to other means of marketing used to market businesses on the web. However, there are still many businesses that tend to shy away from using this strategy. The Vice President of Youtube, Robert Kyncl, has stated that by next year, videos will account for driving more than 90% traffic. YouTube is already the second largest search engine network out there as a number of people go to YouTube when they need to make a search, instead of Googling. This is because they want to watch videos and not read blogs. This implies that the future holds great significance for video content and businesses need to make efforts in producing quality video content to carve a name in the business world. Using video marketing for your business has many perks. It helps increase your sales, generates a good ROI, promote brand awareness and more. 1. Helps Customers In Purchase Decision. It can be confusing for customers as there are a plethora of brands on the market selling their products. This makes it difficult for them to choose because they’ve no information regarding the product. Explanatory videos can bring down this barrier and make it easy for customers to learn about products that you are selling. As per a survey taken by Wyzowl, 98% people watched product videos to learn more about them and out of those, 90% believed that watching product videos helped them make a purchase decision by clearing their doubts. You can use different tools like Bomb Bomb to make videos suitable for this purpose. A video needs to be presented in a neat manner for it to leave a mark. Even YouTube has its own built-in editor that allows you to edit videos before uploading on the platform, but it is not a very powerful option. 2. Carve A Memory In Customers’ Minds. Online marketing is all about leaving a mark. 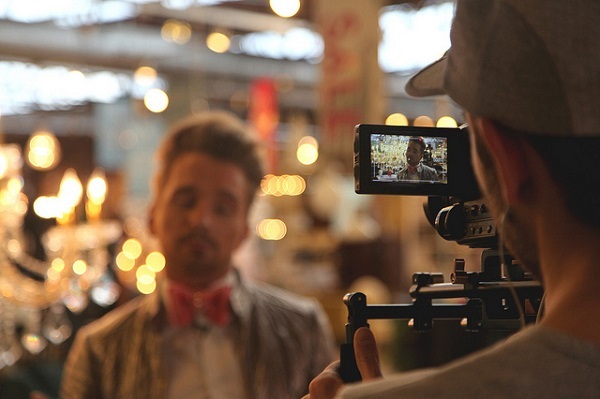 Here’s where videos can be your biggest weapon. According to reports, 95% people who watch videos remember the message given in it while only 10% of people retain what they read in a text. This is how powerful video marketing is. This implies that there are more people out there who are more likely to engage if you’ve put your point forward through videos than in plain text. However, this doesn’t mean that writing about something is bad, it’s just that more effort is required to make it reach a broader audience. More conversions mean more sales and more sales means more profit. That’s what every business dreams to achieve. The fact that customers watching product or service videos have an increased chance of engaging and buying a product, increases customer conversion rates. 4. Increases Ranking on Search Engines. Videos can help you rank better on search engines, which is important since 51% of all traffic is organic. About 83% of businesses saw an improvement by placing a video on the homepage itself. Google prefers websites that gets more users, which is something videos can help with. Video marketing is a tool that shouldn’t be neglected whether you’re a small or a large business. The benefits it brings alongside are endless and helps your business grow.